Pacific Honda Blog: Honda Plans to Bring Civic Hatchback to U.S.
With certain Honda models being manufactured in various Honda plants all over the world, the Honda plant in Swindon, England – currently the brand’s only plant based in Europe – has been left with surplus manufacturing capacity. Since that plant now has the ability to build more vehicles than they’re building, Honda is going to manufacture extra Civic hatchback units to be sold in the U.S.
We here at Pacific Honda, like a lot of Honda dealers all over the country, have customers every year ask us when Honda will make a hatchback version of this car available here. 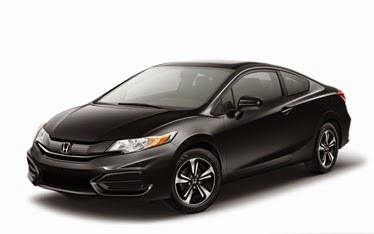 The standard Civic is the second-most popular model in the lineup behind the Honda Accord, so another body style shouldn’t do much to alter that popularity negatively. If anything, it will boost the model’s American sales numbers, and there’s absolutely nothing wrong with that. There’s not a lot else we know about the plans for this “new” model, but we’re excited about it all the same. There’s no word on when we may expect these Civic hatchbacks to start arriving, but we’ll be waiting with baited breath, and we know our customers will be, too.